Do you run a B&B, mountain lodge, restaurant or home that sometimes feels like all (3) at once? If you engage in any (or all) of the above activities, you owe it to yourself to take a break – go on a little "retreat" even. Let Light or Dark Aspen Log Tables, Log Dining Tables, Captain's Chairs and Side Chairs get you where you wanna go! 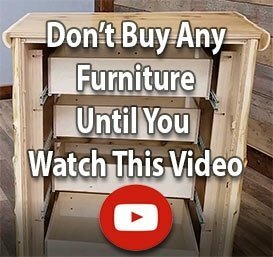 You'll appreciate the endless miles of rustic decor style and quality workmanship built right into this fine, naturally seasoned wood furniture. Woodland Creek's brings you Beaver Creek Aspen furniture for the bar, dining room, game room, etc. Have a rustic furniture dilemma? 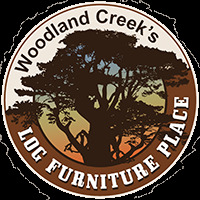 Get answers from Woodland Creek's Log Furniture Place! For example, there are numerous ways to use the log benches, chairs and tables in this light or dark aspen, country decor collection: Buy it in bulk as bar furniture, pick up some pieces for the patio or design the perfect cabin decor dining room.